We know you will be impressed with our 2012 Hyundai Elantra Limited proudly displayed in Harbor Gray Metallic! Stylish and sophisticated, our sedan is brought to life with a highly efficient 148hp 1.8 Liter 4 Cylinder and a smooth-shifting 6 Speed Shiftronic Automatic transmission. This winning combination makes driving a pleasure, and provides 38mpg on the open highway. 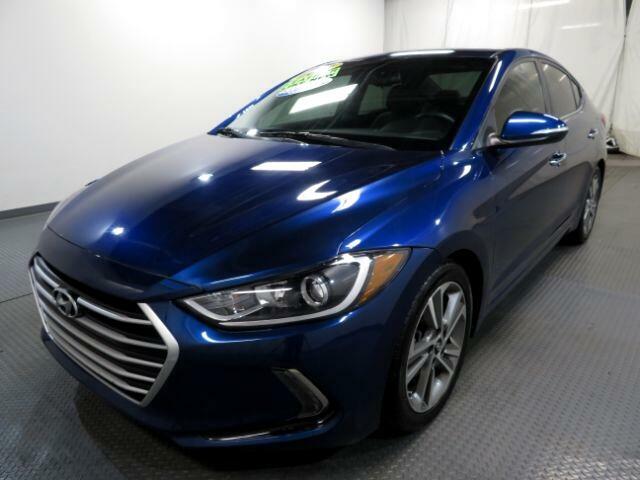 Admire the sleek lines of our Elantra Limited. As you can see, the refined style continues into the roomy and well designed interior. This sedan is even roomy enough to be classified as a mid-size and that is something that can''''t be said for most of its competitors! Experience high-quality soft touch materials, a power sunroof, heated leather seating, and remote key-less entry. Our premium audio system features a CD player, as well as available satellite radio, plus iPod/USB capabilities for your own tunes. With six airbags, vehicle stability management, and anti-lock brakes, the Elantra has been named a top safety pick by the IIHS. With authentic style and phenomenal efficiency, the Elantra is an excellent choice. Print this page and call us Now... We Know You Will Enjoy Your Test Drive Towards Ownership! Internet Special, Interest rates starting Low as 1.99 for Qualified Buyers, Special financing available, Low monthly payments, No Credit, Bad Credit with still have Lenders that can Finance you! Log onto our direct website Nag-cars.com Two Location to choose from...Price Reflects Discount for Cash Buyers. Sales Tax, Title, License Fee, Registration Fee, Dealer Documentary Fee, Finance Charges, Emission Testing Fees and Compliance Fees are additional to the advertised price.